You or your relatives might prefer to be treated privately. 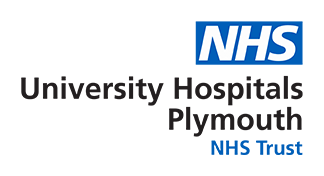 As a private patient with Plymouth Hospitals NHS Trust, you will have all the convenience and comfort of private care at the same time enjoying the high-quality facilities and expertise of a top-class teaching hospital. In most cases your first point of contact to arrange a private appointment or admission will be your consultant or GP. They will arrange a private referral to the necessary department or specialist consultant, or directly to the Private Patient team, to initiate your private healthcare pathway. All income from private patients is directed into improving our hospital facilities. This benefits all of our patients, NHS and private alike. If you are covered by private medical insurance, we will liaise with your insurance company regarding your bill for the hospital services. Your consultants will invoice you separately for their fees. All the services provided to private patients are billed. Generally these services are covered by UK based insurance companies. The Trust does not typically deal directly with insurance companies based abroad. If you are insured by an overseas company you will often be expected to self-fund your treatment and claim reimbursement from them at a later date. It is imperative that all patients check the details in their individual policy as charges that are not met become the patient’s responsibility. If a patient is self-funded, a member of the Private Patient Team will contact you with a price package for your private treatment, which may alter during the course of your treatment or procedure if any changes are required to your planned care or due to diagnostic findings.